La Salle High School head coach Ealar Gallagher and assistant coach Mike DiFiori have accepted assistant coaching positions at Bishop Amat. Gallagher, who guided the Lancers to the CIF-Southern Section Mid-Valley Division championship game in 2006, will be Bishop Amat’s offensive line coach, while DiFiori, Amat’s former head coach, will serve as the linebackers coach. 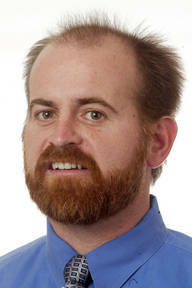 Question: Who would be a prime candidate for the La Salle head coaching position? This was one of the topics which was brought up, so here we go. Personally, I like St. Francis’s Friedman Field. It has a nice intimate feel to it with the field being close to the stands. Arcadia’s is also good one, especially when the fans pack ’em in. San Gabriel’s apparently is going to be re-done this year so the Matadors will be playing all their games on the road. 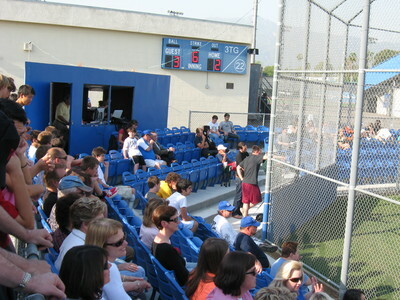 Two of the other ones I liked, although there is no press box, are Temple City and Monrovia. Good old-style stadiums. Above: Don’t you wish every area stadium looked like this one? I do. Question: What are your favorites? Here are a couple of Dallas area stadiums I found. I couldn’t find one with a good view of stadium seats and luxury boxes, but you get the idea. 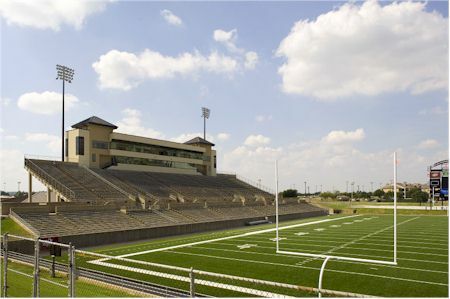 Above: John Clark Field in Plano, Texas. 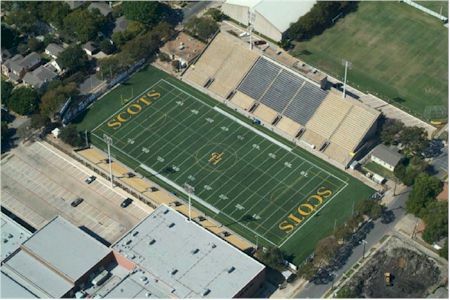 Above: Highlander Field in Dallas. I lived close to this one for about a year. Lots of stadium seats. Most JCs in the area would love this stadium. 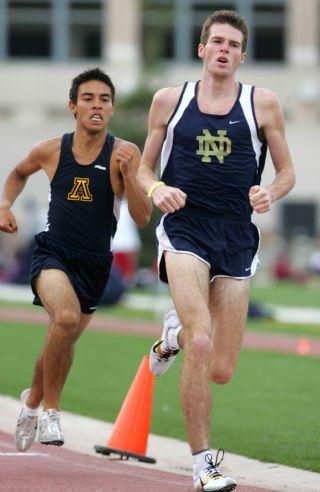 Alhambra long-distance runner places second in 1,600 before coming back to win the 3,200 at Pasadena Games. SO: Miller 7 (LC) W: Miller (4-2) L: Shelburne (0-2). Ellingsworth (4-2) L: Milosavlijevic (1-3). 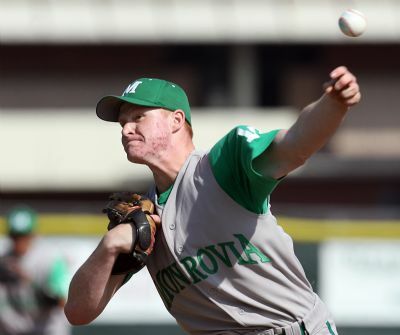 My quick thoughts: Kilbury came up with the clutch pitches when he needed them and Brian Dearth was equally outstanding in a classic pitcher’s duel.